I saw the production of Flarepath earlier in the year, it was fantastic, and I wanted to see more of Terence Rattigan's work. 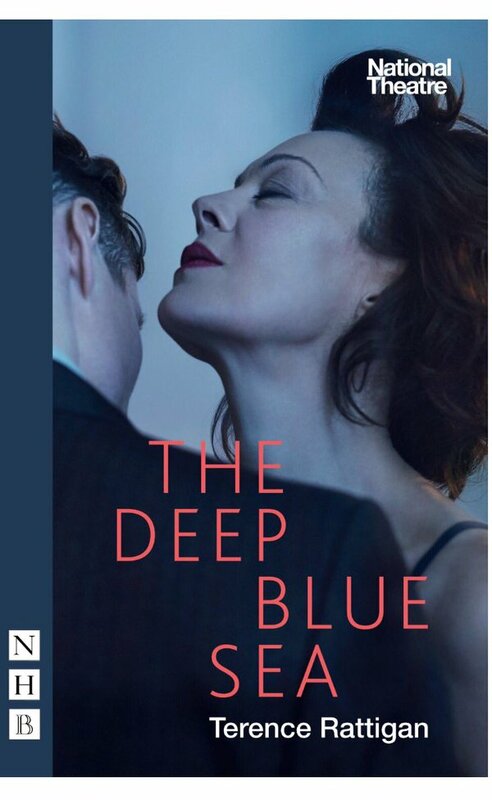 Tom Burke is performing in The Deep Blue Sea as Freddie, a tortured soul and former WWII Spitfire pilot. I don't know how I will react to watching the play, but reading it had me spell bound. Rattingan has created a dark play, full of tortured souls who deserve our empathy and understanding. The play focus's on Hester, a middle class woman who has left her upper class husband for a former Spitfire pilot. Hester is discovered unconscious in her rented flat by her landlady, having tried to commit suicide. The plays follows on from when she has been found, and whilst it sounds rather a depressing read, it is actually a well written, thought provoking play. When I saw the headlines about Tom Burke playing the part of Freddie, they made me think that Freddie was a character to be hated. Hester's life with him was so bad she felt compelled to commit suicide. He was made out to be the villain of the piece, but I did not feel that when I read the play. In fact, at times my sympathies lay at Freddie's door rather than Hester's. There are four main characters in this story. William Collyer, an upper class gentleman who it could be argued has married beneath him. He is a high court judge and has a large social standing, his lifestyle is one of holding dinner parties and soirees. He undoubtedly loved Hester, but did he show her that love? Their marriage should be questioned, because if everything was so perfect between them, why would Hester leave everything behind her to commence a relationship with a former pilot? Hester, the centre piece of the story, a middle class woman, the daughter of a vicar. As such she will have lived a comfortable life. She would be educated, but she would not move in the same circles as her husband. Has she married above herself? Did she dream of a grand lifestyle and then find out it wasn't all she imagined. Was she bored? Bored with having to play the dutiful wife when her husband had his friends and wives around for dinner parties? We get a sense of what her early life had been via her artwork. There are a couple of pictures hanging on her wall that she is offering for sale. Both are different in style. One painted in earlier times when she was carefree and happy. Was this the lifestyle she wanted, the bohemian artist; was she not allowed to continue when she married Collyer? She is a needy character, did she think her life was dull with her husband and Freddie could give her the excitement she craved, and the attention she needed? Freddie, a former Spitfire pilot, always playing Russian Roulette with his life. Firstly as a Spitfire pilot, never knowing if he would make it back from a mission alive, and then as a test pilot, if he got in the sky would he land back safely? Why does he now live his life on a golf course and a whiskey bottle? He didn't want to live with Hester while she was still married. He wanted her to divorce before they got a flat together, but Hester would not divorce her husband. Did this lead to them both tearing each other apart emotionally? Miller, the doctor demoted to bookie. He has hit the depth of despair but managed to fight back, to see he has a future. It might not be the future he wanted, but he is in a position to understand Hester's delicate state of mind and be more forgiving than Freddie or her husband. Miller has the power to show Hester that her life is worth living, but that she needs to live it for herself, and not be reliant on men to make her life an enjoyable one. Suicide, which is how the play starts, is the ultimate act a person can commit. It is an act of anger...the person committing suicide is angry with what issues life has dealt them, and the person left behind feels shock, despair, sadness, and then anger. Anger that someone could do such a thing without saying anything. Freddie has witnessed good friends die around him, fighting in a war they had to be part of, who had everything to live for, but their lives were extinguished too early. He himself has headed out in a Spitfire, not knowing whether he will come back or not. He knows that in war you are really fighting for the man next to you, not for your country. To him, considering what he has been through in the war, Hester's act would be met with total anger, so is it really such a shock that towards the end of the play he throws a shilling at her so that she can do the job properly next time? This is a very powerful play and by the end there is a feeling of hope rather than the despair of the beginning. In dragging each other to the bottom of self-destruction, Hester has helped Freddie move on to a new life in America, and Freddie has helped Hester move on to a new life, not reliant on him or her husband, where she can go back to art school and start her life again. In the last few lines of the play, it is clear that they did really love each other, but that they weren't right for each other. Whilst it was hard for them to accept, and difficult to move on, they both knew the only way they could live was to move on. I think it will be a heart wrenching but enjoyable play to watch.